Our mission is to be stewards of a healthy urban environment. This includes leaving a green and growing legacy for our future generations. As part of this objective, we donate our time and knowledge to our community. 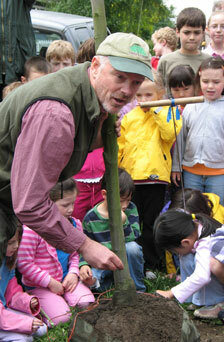 Our educational outreach includes planting trees with school children, brown bag talks with architecture firms, community seminars for bluff and shoreline landowners, training sessions for public park employees, and education for Plant Amnesty members. Financially we have supported local training for arborists, including the PNW Women's Tree Climbing Training. If you can think of other ways that we can give back, please let us know!